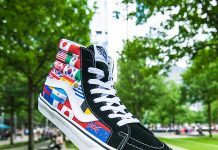 Vans channels the inner child in all of us with the Sk8-Hi LX x Disney pack. 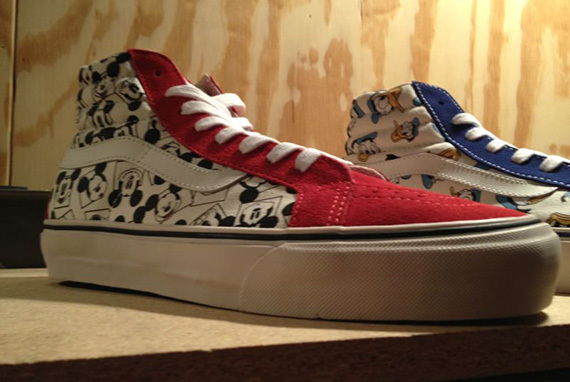 The red version uses a Mickey Mouse print in the rear, while the blue version goes with Donald Duck faces. The Disney monogram definitely lightens the mood here and adds a bit of character to the popular skate shoe. 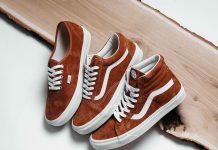 Look out for these to drop Fall of next year.